Once again, a lovely napkin from Mata. This time the occasion is the Jewish holiday of Sukkot. The 4 colors design of this napkin is a little different from the usual and maybe even a little weird.. I'm pretty much used to the central compositions of an illustration or a logo in the middle, but this is not the case. 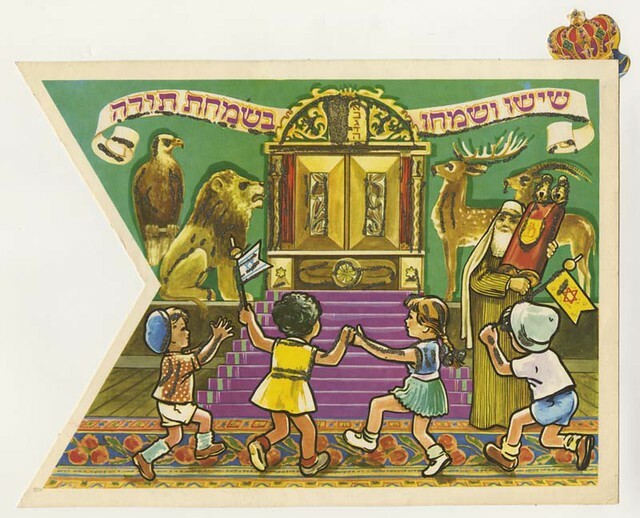 We can see our friend from the last post, Mr. mustard holding a Torah flag for the holiday and pointing at the logo, while in the other part we can see 2 Sukkot with happy lodgers. In the first a couple of happy dudes sipping wine and in the second a monkey looking pupil with his teacher. No woman in sight of course.. All I can hope for our friend Mr. mustard is that he'll pick the right Sukka to pass the holida. Mapiot in Hebrew means napkins. 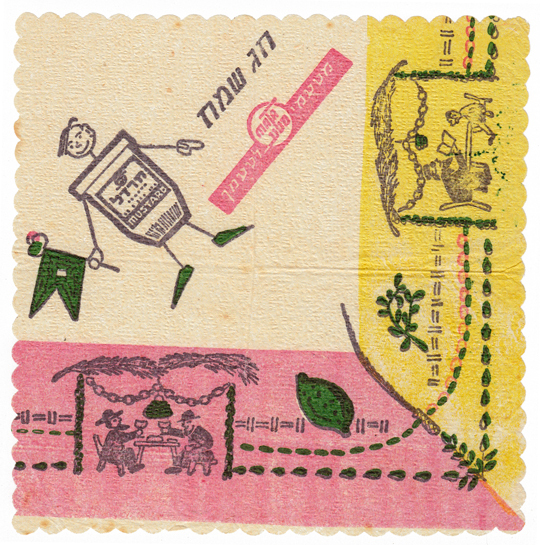 A collection of vintage Israeli napkin graphics from the 50's and 60's mostly collected by my mom - Michal Segal Moshkovitz when she was a little girl.